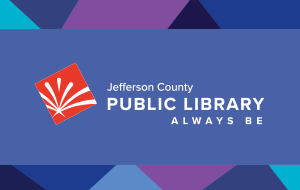 Jefferson County Public Library, as a vital element of both Jefferson County Government and its community, has a commitment to establishing partnerships for the benefit of community growth and development by enriching the quality of life for all people. As such, partnerships with public and private agencies will be established with the intent of promoting understanding and support for the Library and its program of service, supporting the mission and strategic goals of the Library and promoting the use of the Library as a public resource. For the benefit of the Library, partnerships with public and private agencies should increase exposure in the community, achieve the mission and strategic goals of the Library, be of mutual benefit to both parties, or enhance the Library’s revenue for the delivery of library programs and services. Only organizations deemed appropriate and compatible with the mission, goals and policies of JCPL will be considered for a potential partnership. Any program undertaken by the Library and any of its partnership partners must respect the Library’s commitment to intellectual freedom. Partners and/or sponsors cannot influence the selection of materials, programs or services, nor require explicit endorsement of products and services. As well, the Library ensures the confidentiality of user records by not selling or providing access to patron records to any partnership. The partnership between Jefferson County Public Library and the Jefferson County Library Foundation is defined through a separate operational agreement.